The amazing Ski Sprites waterski organization is gearing up to scare locals at its annual haunted house fundraiser. This year’s theme is The Haunted Hotel, and there are plenty of exciting new features. Advance tickets can be purchased at any Altoona or Eau Claire Kwik Trip. 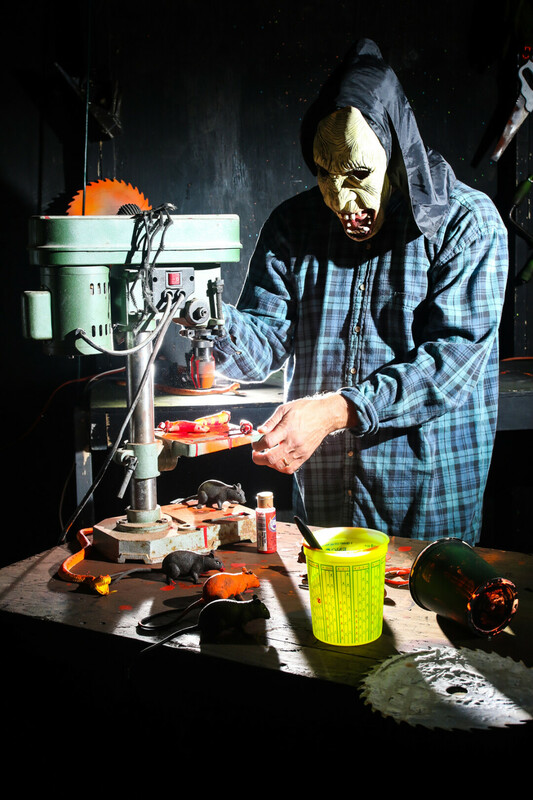 The annual haunted house has run for more than 10 years, with a different theme each year. It was previously hosted at the Eau Claire Expo Center and at Banbury Place, and is now in its third year in its downtown location. It is put on entirely by volunteers, members of the Ski Sprites and friends of the Ski Sprites. Being in a building owned by the organization allows them to keep up some of the structure, design, and flow that are part of the haunted house. There is more time to put into making the rooms themselves more eerie, according to Jim Heinzen of the Ski Sprites. He said this year’s event will be a little scarier than it has been in the past, with lot of interactive actors – but with a no-touch policy for actors and patrons. The Sprites are adding some new animated features to the event, and they plan to continue to expand on these offerings going forward. This event is the organization’s largest annual fundraiser, and Heinzen expects between 4,500 and 5,500 people to go through the haunted house this year.